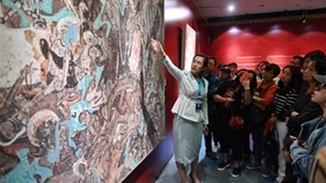 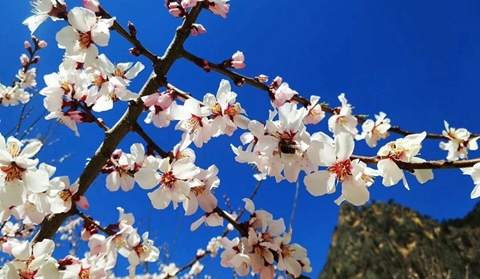 Visitors view a fresco during a Dunhuang fresco itinerant exhibition in Yunnan University in Kunming, southwest China's Yunnan Province, April 10, 2019. 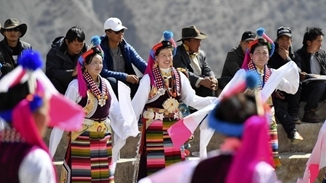 The villagers of Xidang village in Deqin County, Tibetan Autonomous Prefecture, dressed in costumes and held performance on March 22 to celebrate the Shugunisu festival. 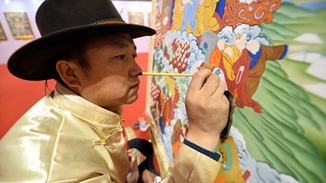 Norbu Sidar, a thangka master, spent his teenage days reciting vast sutras from Buddhist scriptures, and made sure that his nephews Konchoge and Tsering did the same.